Paul Manafort, Trump's former campaign chairman, will be asked to face the Senate Judiciary Committee for questioning related to the larger Russia probes, specifically the government's oversight for registering as a foreign lobbyist, which Manafort has done. But this is just the latest in the Manafort intrigue: earlier this week it was revealed he attended Donald Trump Jr.'s meeting with a Russian lawyer during the 2016 election, along with Jared Kushner. What remains unclear is whether Manafort even knew that the June 9 meeting was with a Russian lawyer, particularly one who was reportedly promising "damaging" information on Hillary Clinton. (But the email's subject line included "Russia" and although he wasn't included on them, they were likely forwarded to him.) Manafort's spokesman declined to comment. The intrigue: The timing of Manafort's work with the campaign and how he has subsequently disclosed information about his meetings and work. He joined the Trump campaign on March 29 and was promoted to campaign chairman on May 19 — just three weeks before Trump Jr.'s meeting. Although he's entangled in the larger web created by the Russia probes, Manafort previously disclosed this meeting to congressional investigators before Trump Jr. leaked his emails — but he wasn't required to disclose the content of it. Now the question is why did he attend Trump Jr.'s meeting at all? Given he was just a few weeks into his role as chairman (and considering he has an apartment in Trump Tower, where the meeting was held) it's possible he felt an obligation to attend, especially after his boss's son requested as much. And while it's possible he wasn't aware that a Russian government lawyer would be there, it's hard to believe he didn't know that the meeting would be Russia related in some way, considering the email chain's subject line alone. "He's cooperative, but he's not cooperating in the 'cooperating witness' sense. He engaged with the Department of Justice's Foreign Agent Registration Act unit back in September, and sought their counsel about taking the appropriate steps to be registered. This started before the election, before Mueller was ever in place." April 12: Maloni announced Manafort intended to officially register as a foreign agent. The statement came the say day that financial documents confirmed Manafort's firm received $1.2 million from his clients — payments that some Ukrainian officials believed were part of a larger scandal involving former President Viktor Yanukovych's pro-Russian political party and Manafort's firm. April 28: Mercury LLC, a Washington-based lobbying firm under Manafort's direction, registered as a foreign agent. They lobbied for and set up meetings with Ukrainian political officials in an attempt to influence the campaign based on their pro-Russian interests, specifically for former Russian President Yanukovych. The registration revealed that he was involved with the firm's lobbying work, attending meetings and offering consulting. June 27: Manafort registered as a foreign agent for Ukraine. He retroactively filed forms with the Department of Justice disclosing his work as a foreign agent for a Ukrainian political party. Note: It wasn't illegal for Manafort to file his disclosure form retroactively — that would require clear intent — and as Maloni previously told Vanity Fair, he started this work back in September. 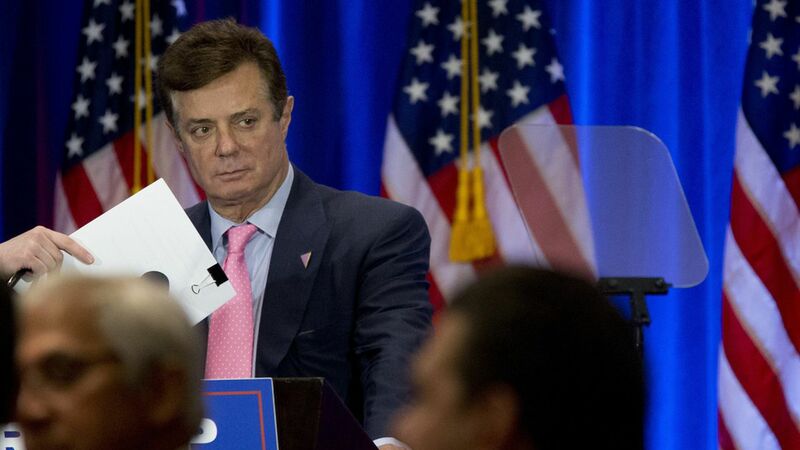 Ukrainian prosecutors announced they found no evidence of illicit payments to Manafort and his signature wasn't on the payment ledger, from the news that emerged in April. What's next: Iowa Sen. Chuck Grassley (who's also the Republican chair of the Senate Judiciary Committee) announced yesterday they plan to question Manafort, noting the committee will issue a subpoena if he's uncooperative. But as has been mentioned before, those close to Manafort say he has been cooperative and will continue to be — he's just waiting on the committee to give him a date for the hearing. The FBI, Congress and Special Counsel Bob Mueller are also questioning Manafort as part of the Russia probe, per the Washington Post. Go deeper: Axios' breakdown of who the Russia investigators are talking to and why.